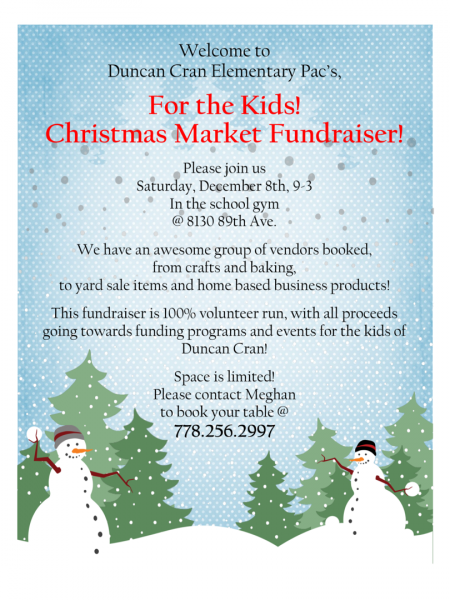 Please join us in the Duncan Cran Elementary School gym, Saturday, December 8th, from 9-3, for our first ever, For the Kids! Christmas Market Fundraiser! We have a great list of vendors booked from crafts and baking, to yard sale items and home based business products! This market is 100% volunteer run, with all proceeds going back to the students.